Gender segregation: Have you ever been asked to leave a space because you are a woman? Have you ever felt uncomfortable being a woman in a space where you were made to feel you don’t belong? What was the context? How did you respond? Do you think the request was justified? What would make such a request justified? Should “tone of voice” matter, or if the requester is “nice”? Body cover: Have you ever been asked or felt compelled to cover your body more than you feel comfortable doing in order to accommodate a particular setting? When is the request for women’s body cover justified and when isn’t it? Comparison to men: How do practices of women’s body cover differ from practices of men’s body cover in your life – your community, your family, your school, your synagogue, your workplace, your country? Violence: How did you feel learning that demands for body cover and segregation are at times enforced with violence? What does that say to you? Government policy: How do you think the government and law should respond to these kinds of practices? Women of the Wall: What does the story of Women of the Wall say about the intersection of religion and politics in Israel? What would you like to see happen with this group in Israel? Army: With so much pressure in Israel to recruit haredi men into the army (to “share the burden” in Israel), how should the army respond to demands for gender-segregated bases and training programs in order to accommodate haredi recruitment? 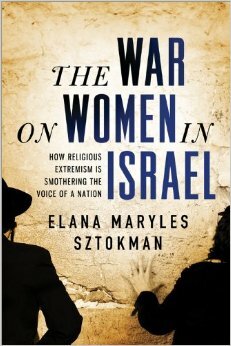 Radicalization: Why do you think the issue of women’s body cover in Israel has become more radical over the past decade (eg, covering photos of women, not allowing women on stage, not allowing billboards of women in Jerusalem, not allowing women to sing, etc)? How do you interpret these events? Spread: How did you feel learning that these practices are spreading all around Israel? ( eg, in shops, clinics, libraries, cemeteries, etc). Was there an issue or trend that you found particularly alarming? Were there others that you thought were okay? And why do you think that secular businesses and secular politicians go along with demands for segregation and body cover? Agunot: What do you think is the most significant long-term approach to addressing the agunah problem? Do you think Israel should adopt civil marriage and divorce? Do you think that halakha should have a role in Israeli law? Who should control marriage and divorce policies in Israel? Conversion: How did you feel reading the story of the interrogation of “Michal”, the woman whose conversion was reversed when she filed for divorce? What does her story show about the intersection of divorce, personal status and gender in Israel? How do you think Israel should approach conversion? Comparative religions: How do these trends compare to trends in other religions around the world? How do you interpret that? Blacklist: What was your reaction to learning that there is a blacklist of several thousand Jews who are not allowed to marry in Israel? How do you think the government should respond? Multiculturalism: What do you think about the multi-culturalism and moral relativism arguments – eg, that this is “their” culture and people need to respect someone else’s religious beliefs? How would you respond to such an argument? Responses of activists: What strategies do you think activists should be taking in order to protect women’s rights in Israel? Was there a particular struggle that particularly impressed you? Israel-Diaspora relations: What do you think is the best response of Diaspora Jews to this situation? What role might Diaspora Jews have in creating a better civil society in Israel, especially for women?